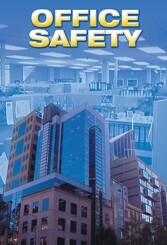 This program makes participants aware of potential hazards in an office environment. Interactive pause breaks encourages participants to not only identify possible safety risks in their workplace and in the way they carry out their everyday tasks but to also come up with workable solutions. - Setting up a work station ergonomically. - Hints on lighting the office. - Identifying, assessing and controlling risks and risk assessments. - Information about sick buildings and quick practical tips for clean and efficient airflow. - Effective exercises to help avoid injury and aid in alertness and comfort.